For years we’ve been hearing that Croatia is the “hot new destination” and that you should “get there before the crowds go”. Croatia is no longer a “secret destination”. 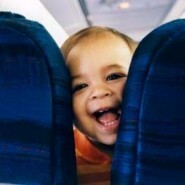 Travellers from around the world have been flocking to its shores in large numbers for a number of years now. Over the last 10 years the number of tourists travelling to Croatia annually has increased by over 4 million, from 9 995 000 million tourists in 2005 to 14 150 000 tourists in 2015. Greece has for many years been the most popular sailing and island hopping destination among South African travellers. The culture, fascinating history and the beautiful islands of Greece have been thought to have no equal, but Croatia is fast changing that narrative. Sailing tours have become the most popular and affordable way to travel through and explore the Croatian coast. Sail Croatia, Top Deck and Yacht Week all offer affordable 7 day tours up and down the Croatian coast. 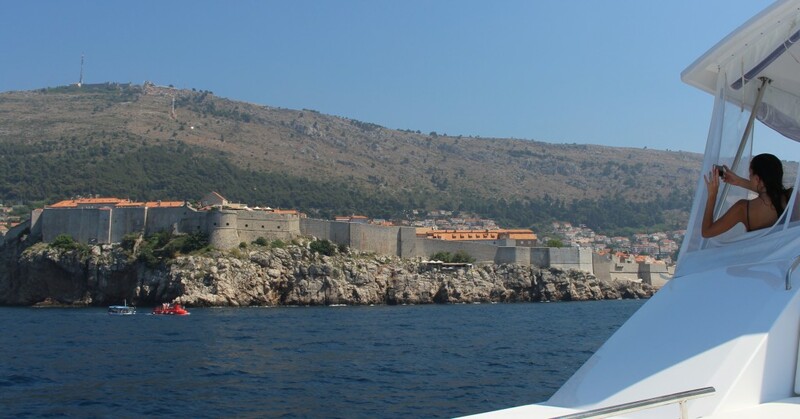 The tours start in Dubrovnik and Split and head up and down the coast for 7 nights before ending in Split or Dubrovnik. We headed to Croatia recently for a sailing tour from Split to Dubrovnik to go and check out why Croatia has become so popular. The city of Split is largely seen as a transportation hub for people travelling to smaller islands down the Dalmatian Coast. The Dalmatian Coast is one of the four historical regions of Croatia which spans along the eastern shore of the Adriatic Sea. Tourists fly into Split where they start their sailing tours, or they climb onto ferries headed to smaller islands down the coast. But, the city that was founded by the Greeks, conquered and built by the Romans and finally reclaimed by the Croatians, is a destination on its own. At the very least it deserves an extra nights stay before or after your sailing tour. 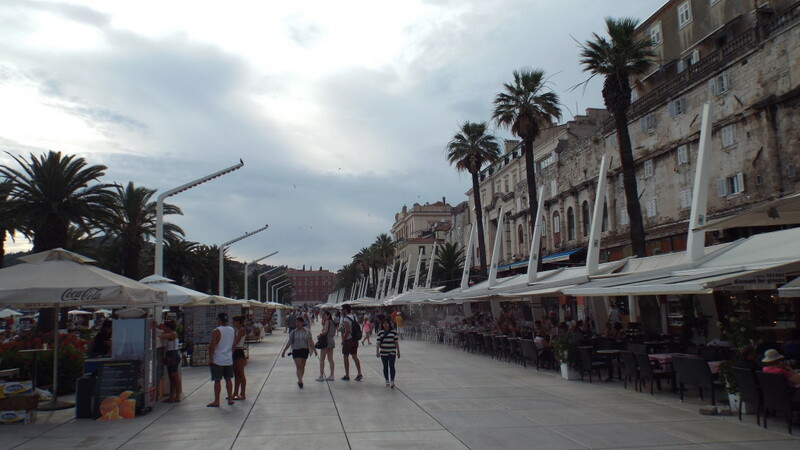 Split’s two main attractions are the Diocletian’s Palace and the Cathedral of Saint Domnius. 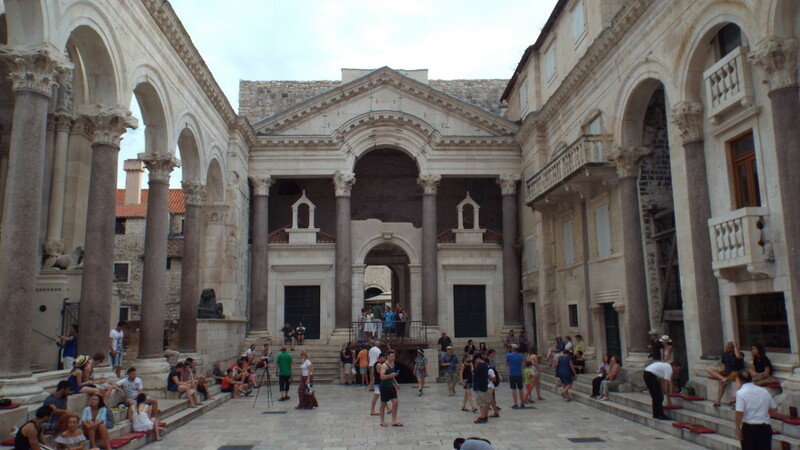 Diocletian’s Palace is one of the best preserved Roman ruins in existence. Originally built as an imperial residence, military fortress and fortified village, today it is the heartbeat of Split’s social activity, its streets filled with shops, bars and restaurants. The Cathedral of Saint Domnius is an imposing structure situated in the heart of the old town. Entrance is free of charge, but it costs 3 Euros to visit the cathedral’s crypt, which is just a mouldy underground room with a water well, and 5 Euros to climb to the top of the bell tower, which is an absolute must. Travel tip: The Central Square of old town Split is turned into a café at night. Cushions are placed on the steps of the square and waiters come to take your drinks order, while a band plays Croatian music in the shadow of the Cathedral of Saint Domnius late into the night. See image above for example. To the south of Split lies the island of Vis. The town of Vis is the first port of call for many tours and privately chartered yachts that start their trip in Split. The town is nestled inside a natural bay which makes it a perfect refuge for yachts seeking overnight anchoring spots. The town’s history can be traced back to the period when the ancient Greeks ruled over most of Eastern Europe, 3000 years ago. The island has been famous for producing high quality white wine for hundreds of years. The island was declared a military zone in Second World War, and remained so until 1989. Only since 1995 has Vis been open to tourists. Things to see on the island include a British Napoleonic War base inside the island’s large woodland, a Roman ruin and an abandoned submarine base. Because the island has only been open to tourism for around 20 years it still has an old world feel, and being an old military zone it also has a unique history. Vis Town is the sort of place where you sit at old restaurants and taverns, sipping white wine and eating fresh seafood while watching the locals go about their daily business. 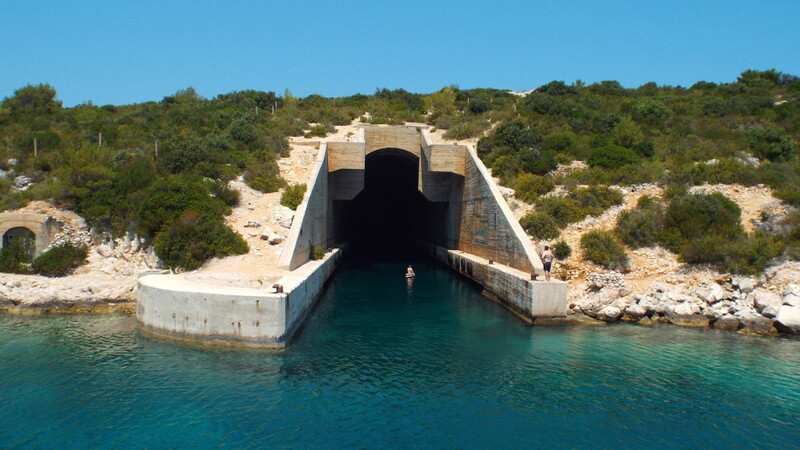 Travel tip: There is an abandoned submarine pen in Parja cove which is just north of Vis town. The Second World War submarine base is open to the public to explore free of charge. You can swim inside and climb up to the sides and explore its dark tunnels to get a glimpse of what life on the island might have been like during WW2. The ancient walled city of Korcula is one of the most beautiful and best preserved ancient cities in all of Europe. Nicknamed Little Dubrovnik, Korcula is the highlight of every Croatian sailing trip, perhaps only pipped in beauty by Dubrovnik. The island’s main sources of income before the dawn of tourism came from the wine and olive trade. There are many olive groves and vineyards on the island that offer tastings and tours. 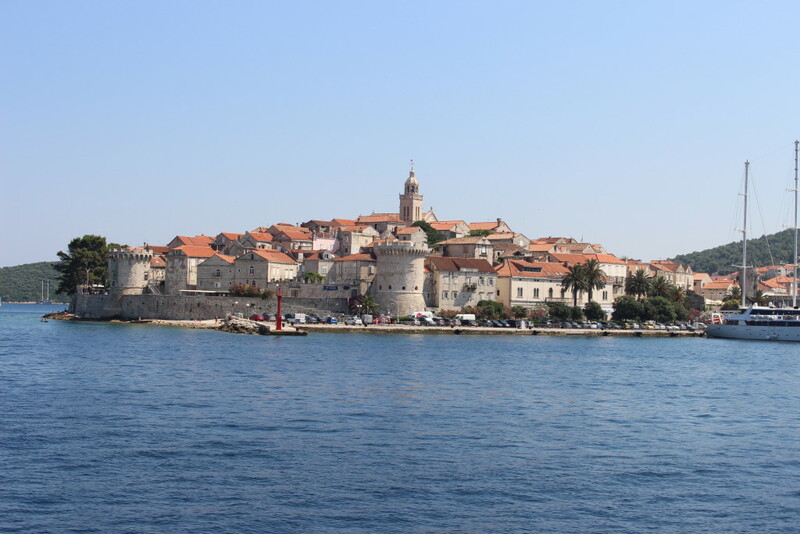 Korcula Old Town is the island’s main attraction. 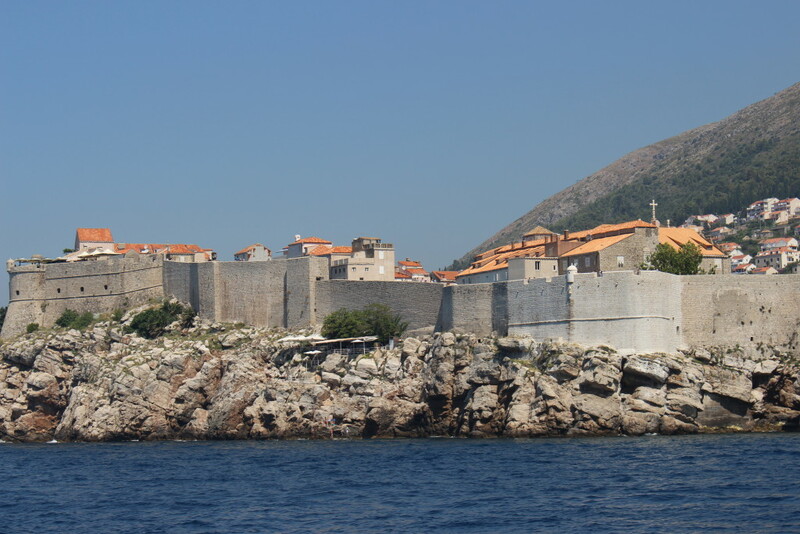 The medieval walled city is perched at the tip of a small peninsula high above the Peljesac Channel. The town has one main street that runs from north to south, with narrow streets branching off it down to the exterior walls. The Old Town’s architecture is mainly influenced by the Venetian Renaissance. St. Mark’s Cathedral sits at the centre of the old town. The 15th century Gothic-Renaissance cathedral has a bell tower that from the top has an unrestricted panoramic view over the city. 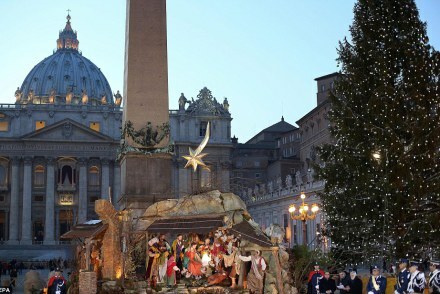 The church asks 10 Euros to tourists who want to enter the church and climb up the tower. Travel tip: At the northern extreme of Old Town Korcula there is a cocktail bar called Massimo. The bar is built into an old watchtower with the seating area situated right at the top of the tower. The only thing better than their cocktails is the view of the sun setting over the old town and the channel below. Drawing over 20 000 people a day during high season, Hvar town is one of the most popular island destinations in Croatia. The town attracts so many people because of its beautiful architecture and bustling nightlife. The island’s Venetian style architecture and promenade, which is lined with trendy bars and high fashion shops, has helped make Hvar Island the chicest and most visited island on the Croatian coast. 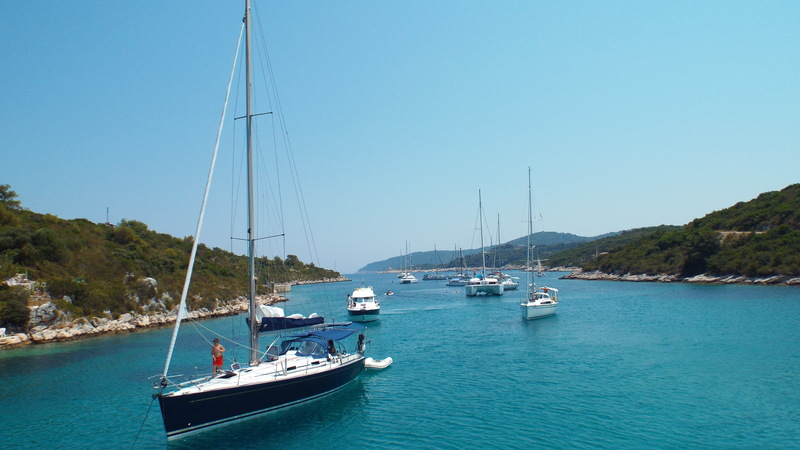 The harbour is very small, if your captain doesn’t book a harbour berth well ahead of your visit then you will have to throw anchor outside of the harbour or across the channel in a bay at one of the Pakleni islands. You can then use your tender boat or a water taxi to get to Hvar town. The Fortica fortress, Cathedral of Hvar, the Franciscan monastery and the theatre of Hvar are the most interesting sights to look out for. By day the town is an open air museum, but when the sun goes down Hvar turns into the party capital of Croatia. As the sun starts to set the cafes and bars along the promenade swing into action. Live music sets the mood while drinks are served straight through the night. Travel tip: Because of the town’s popularity, the restaurants and cafes along the promenade are quite expensive, and very busy. We would recommend having dinner or lunch in St Stephen’s Square, which is in front of the Hvar Cathedral. Hula-Hula Club is Hvar’s most popular daytime club. It sits right on the water’s edge. You can sip on drinks and take a dive into the water while chilling on beach chairs, listening to the most famous DJs in Croatia doing their thing until 10pm every night. At the southern extreme of the Croatian coast sits the country’s most popular destination and the pearl of the Adriatic coast, Dubrovnik. Famous play writer Bernard Shaw said, “Those that seek paradise on earth should seek it in Dubrovnik”. 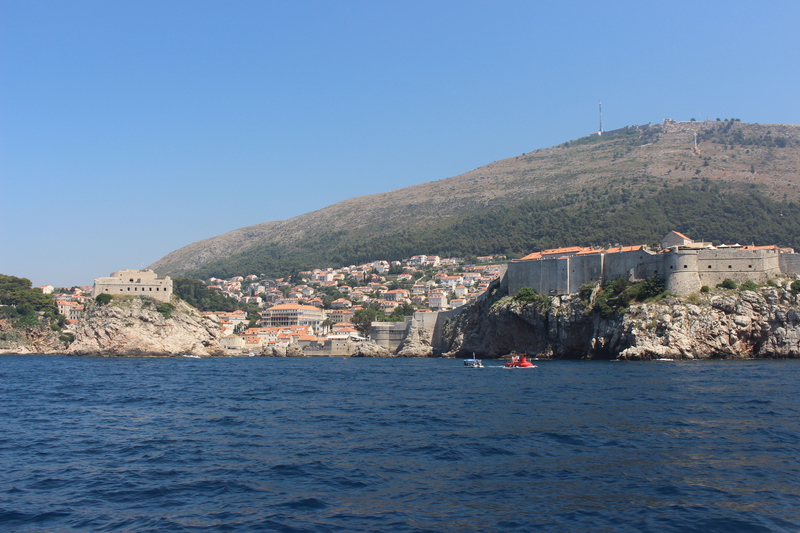 Once you’ve visited Dubrovnik you realise that it’s very hard to argue with his narrative. 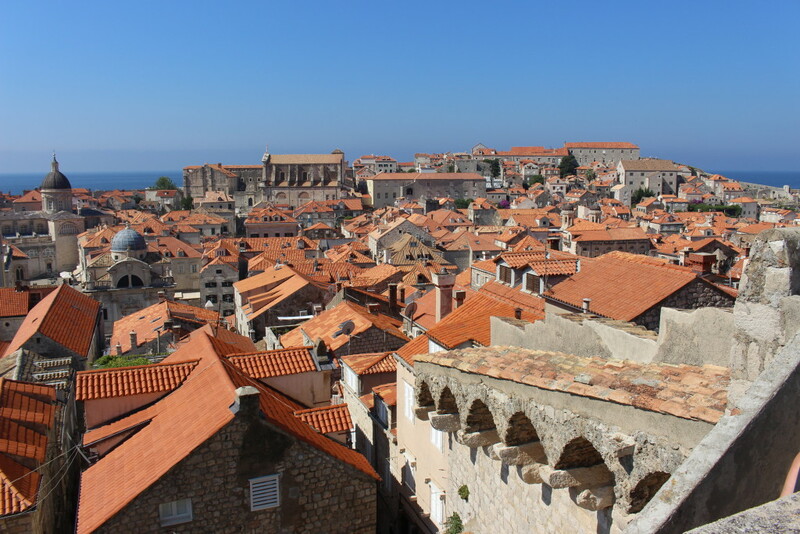 Dubrovnik’s old city is the most interesting and attractive part of Dubrovnik. There are only three entrances to the ancient walled city. 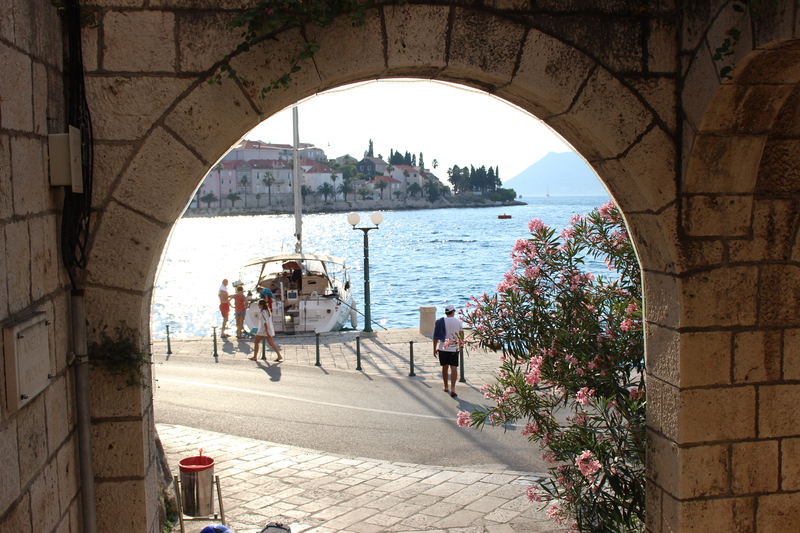 Most tourists either enter through the harbour, when travelling by ferry or yacht, or though the Pile Gate entrance at the top of the Stradun. 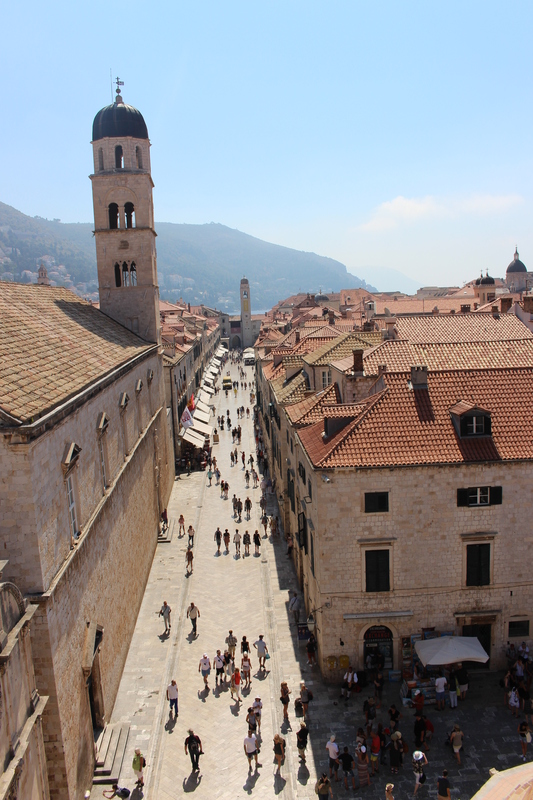 The Stradun is the old city’s main street that is lined with restaurants, cafés and fashion boutiques. Most of Dubrovnik’s main sights, like the Onofrio Fountain, Franciscan Monastery, Sponza Palace and Church of St Blaise, are clustered around the Stradun. The city is a pedestrian only area, no vehicles disturb the tranquillity of the ancient city’s marble streets. Just to the west of the harbour you will find the Gundulic Square. In the mornings the square is home to a fresh food market while at night the square turns into an open air restaurant. At the southern end of the square the monumental Baroque staircase leads up to the Poljana Square where the Cathedral of Dubrovnik is situated. The cathedral, which has a history that stretches back to the 7th century AD, can be entered free of charge and is a must see attraction. We recommend that everyone visiting Dubrovnik must take a walk around the city on the medieval walls. It costs 120 Croatian Kuna per adult to walk the wall and 30 for children, one Kuna is roughly worth R2. It might sound a little expensive, but it is certainly worth the money. The high walls presents you with unrestricted views over the old city which certainly will take your breath away. Travel tip: At the Southern end of the wall there is a restaurant on the outside of the wall that used to be a lookout point. The restaurant has a view of the sun as it sets over the Adriatic to the west, the sight of the faint glare of the setting sun over the ocean and the faded red colour that it gives to Dubrovnik’s ancient walls is mesmerising. So, why is everyone going? Well it has a beautiful coastline, every town has its own unique and interesting history and beautiful architecture, and despite being so popular among tourists of late, it still doesn’t feel as commercialised and busy as some of its European counterparts. With all of this in its favour, it’s easy to see why Croatia is becoming one of Europe’s most sought after destinations.